I have always been a very shy and timid person. The words I used to describe myself were shy, detached, and kind-hearted. Confidence was never a word that I would use to describe myself. I was more focused on school and I saw sports as a waste of time. Now the words that I use to express myself have completely changed. I would now say that I am confident, open-minded, and outgoing. What was the change that happened in my life to make me more confident? Sports. I decided to join the tennis team during my freshman year. It was a small team. It wouldn’t be bad, right? I would get to meet new girls and learn how to communicate. So, I decided to go for it. I met new girls from different grades. I had the honor of meeting my best friend in this team. I was able to learn how to communicate with the coach and my teammates with ease. Learning a new sport was definitely not easy. I had to learn how to communicate with people that I didn’t know. If I was going to do tennis, I was going to start in the doubles position so that I wasn’t covering the court all by myself. This meant I was going to work on improving my communication skills since communication is key when playing in a doubles team. Then, I had to learn the plays. I found it difficult because I didn’t know the tennis vocabulary. I didn’t know what the coach meant by drop, or poach, or smash. I didn’t know what volleys were, or what lobs were. I had to study these terms. I started to get the hang of it. I got help from some of the senior players as well as from other returning players. They showed me the correct grips and ways to serve. They also helped me improve my forehand and backhand returns. My freshman year was difficult but fun. I was able to keep up with the team and learn how to correctly play a full match. I did have some troubles throughout the season. I was injured in one of my matches, I had sprained my wrist and my ankle. My sophomore year I came back stronger than ever. I got to play varsity and won most of my matches. I learned that I needed to stay focused and have a strong mentality and then I would be able to succeed. 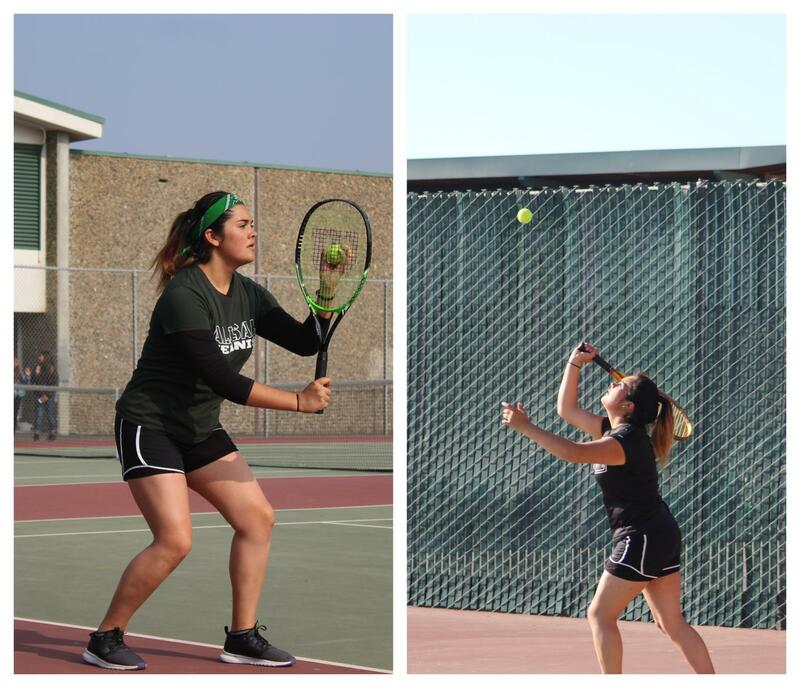 After the tennis season was over I was somewhat more confident than I used to be. Being comfortable with who I was, was a very difficult obstacle that I still needed to overcome. How would I overcome this obstacle? Maybe since doing one sport helped, I could join another sport and hopefully that would work out. I thought about it for the whole winter season because I still wasn’t very comfortable with trying new things. Finally, in the spring season, I had made up my mind. I would be open to trying another sport. Thanks to my friends, especially my friend Laura and my cousin Nestor, who convinced me to join Track and Field. It was very scary at first because Track and Field is such a large team. This team contains over 10 different events. Which events would work for me? Where would I fit in? Or would I even fit in at all? I decided to start off with the throwing events since I have never been much of a runner. The first time that I threw a shot, it was like a spark. I knew then and there that throwing shot was the event for me. In order to be able to be a good or great thrower in shot, I would have to be very confident with my throws and I found that very difficult because my body was very tense. I was not able to get my positions right. With help from Coach Madrigal and my teammates, I was able to improve my skills. They showed me that it was okay to have a bad throw. Everyone learns from their mistakes. I was able to gain confidence and courage with every shot that I launched. As time went on, I got stronger and more powerful with my throws. Having improved my PR of 22’. I was able to place 5th in the freshman school history with a throw of 23’ 5. Then in my sophomore year, I placed 12th in the sophomore school history with a throw of 25’7.5. I placed 1st against our rival Alvarez High School. In all of my other JV meets, I placed 1st, 2nd, or 3rd. In order for me to better myself and become a much better thrower, I stayed an hour or two after practice to be able to work on my positioning. Having Coach Puga, the record holder for shot and discus at Alisal, be my coach during my sophomore year helped me very much. He was able to give us advice that stuck with the team throughout the season. Puga was my role model, I look up to him and I hope he comes back this year to help our team out again. After succeeding in tennis and Track and Field, I decided to try something new, something that I have never done before – I tried out for the powderpuff team. It was a big challenge. The spots for the team were very limited. The seniors had priority, so they would make the team automatically. Then there were some returning players who already had the experience. I felt like there was no way for me to make the team. My mentality was not at its best during tryouts. But with the help from my friend Gisell and Laura, I gained confidence and I believed I could do it. I knew the offence and defence coaches so I decided to tryout for those positions. Having the physical strength that I gained in my throwing season helped very much. I pushed myself through every obstacle that came my way. Finally, the day came to when we would find out who made the team. I was one of about three sophomores that made the team. I felt so happy and proud of myself. We played at Salinas High last year and I hope to make the team again this year. Being able to see my growth as an athlete helped me very much because I learned that anything is possible as long as you put your mind to it. While sports helped me grow, I know that’s not everybody’s thing. I think the important thing when it comes to growing as a person and gaining confidence in your abilities, is to push yourself out of your comfort zone and try new things.